I shot the image above from my hotel room while on a commercial photography assignment for an association conference. 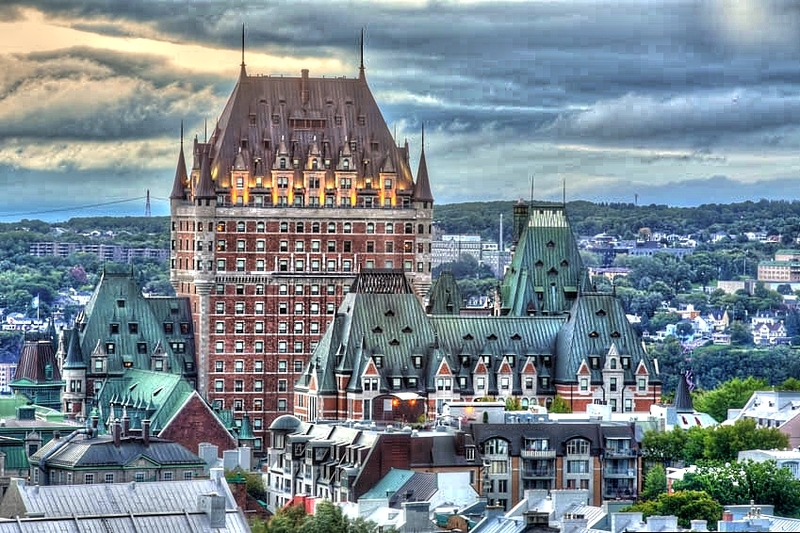 It was my first visit to Quebec City Canada and I fell in love with the area. Hearing French spoken and seeing all the French signs that I could not read inspired me to learn French. My goal is to go back to Quebec City with Brenda for personal time and be able to at least have a basic conversation in French as well as understand some of the signs.